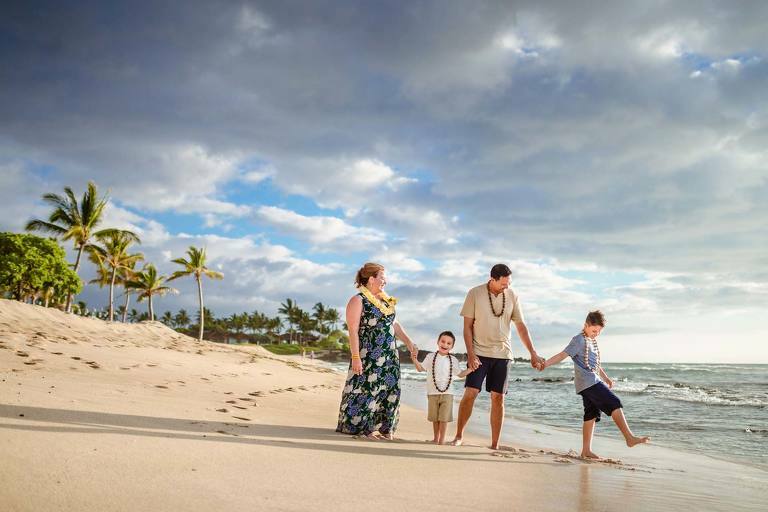 JIM DIERKING | Family & Wedding photographer | Big Island of Hawaii » Documenting real moments with unique, artistic photography. 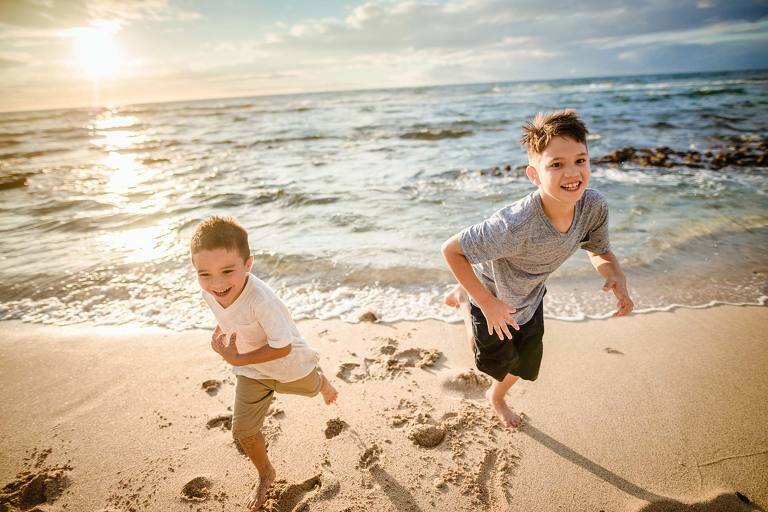 Family, wedding, lifestyle and child portraits on the Big Island of Hawaii. Gosh I miss camping. Been so long. Okay, I feel like that haiku was good. Here’s one more. I swear I’m making these up as I go along! Gosh I miss Mauna Kea during the snow. Tends to happen every year but I haven’t gone lately. Okay, one more…? I should write a book about being born and raised here, but the entire thing will just be a series of haikus — hundreds of them! — and all weirdly specific. Although to be honest I feel like the above haikus could apply to a lot of towns… hmmm. 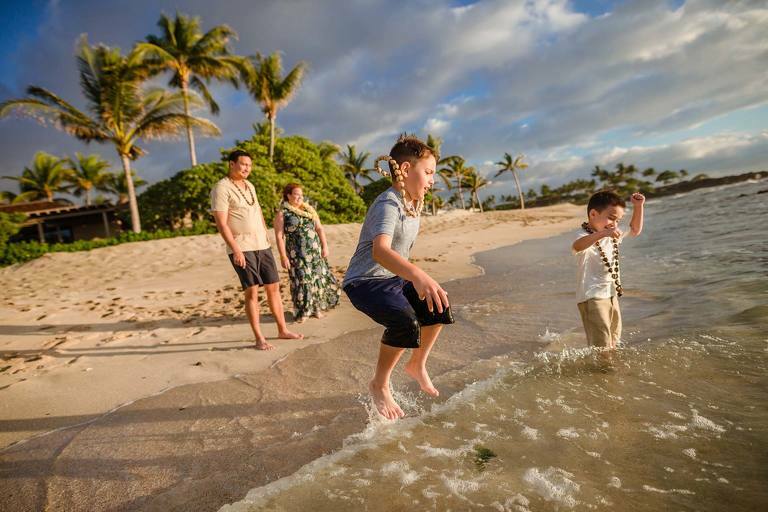 And with that bit of randomness out of the way, the Lake family made for awesome company at the Four Seasons Hualalai! An ohana with Hawaii roots, they had a blast returning to the islands and enjoying a bit of home, and I was grateful to be there too! eh brah how you been? ho wassup. good, good, how you? you still working auto shop? I just recently posted Rachel and Philipp’s wonderful Engagement Session — such a treat to have captured them in front of the vent plume (which has since gone silent). Not to mention the fact that they’re rad people with good taste in music, and who also share my love for Korean food. Their wedding day went by brisk and beautiful. The clouds had shifted overnight and now hung low in the sky. Rain seemed all but certain, but we remained dry the entire afternoon, save for a good vaporwave in the steam vents. Weddings are always a big deal, but I had no idea of the poignancy that their wedding would have on a personal level. The Park has forever changed since they eloped. One of my favorite places in the world is different, a part of it turned off and much of it closed off and destroyed. It’s as if Old Faithful suddenly became totally unreliable, and then just called it quits, and since you’ve visited it many times a year, every year, you’ve grown to love it and almost be friends with it. And now it’s kind of just… gone. So when I look at these photos, I see a beautiful wedding, and a wonderful couple, but I also feel a tremendous wave of bittersweet nostalgia. It passes through me like a rock sinking into the sea. Sinking slowly to the seabed. And I’m both happy for the memories made, and sad for those left unwritten. A seabed of a million memories being cast by everyone who has been affected by the eruption, building underwater until a new mountain is born, and from these memories, a new island in our hearts. And it’ll be… okay. Because the Park is still there, and we are still here. The island is still beautiful, as is the Park, and the spirit of aloha continues across this island that we love so much. Thank you so much to Rachel & Philipp for sharing these awesome moments with me, and for allowing me to show you some of my favorite places in the world. And thank you, for reading. Until next time! I really have to say that 2018 was… a journey. On the personal front it was so stressful, and hard, and just weird, for reasons I’ll get into in the future (it kind of deserves its own write-up). Needless to say that being a stay at home parent and self-employed artist can be the most potent combination of joy, tedium, excitement, and loneliness that I’ve ever encountered. But the biggest thing to happen on the island at large was, of course, the rivers of lava flowing through neighborhoods and farmland. I doubt there’s a single person on the island who hasn’t been affected by it in some way, whether it was the increased vog in Kona and Hilo, the tiring, daily earthquakes where I’m at in Volcano town, or, of course, the actual flow. It was heartbreaking to watch, and to know that not that far from home, people were losing their own land and livelihood, and all of us were losing some of the most beautiful places on the island. I’m thankful to live over 20 miles from where the flow was, but I am only a few miles from the summit of Kilauea and the rest of the National Park. The big earthquake, at 6.9, rocked my house so hard that I could see the rafters of my carport straining and bending as I stumbled out of the house holding my daughter. It was the first, and hopefully only time, I’ve ever actually feared for Sharlotte’s safety. Soon after that a giant plume appeared over the national park, marking the crater’s collapse. The magma that was held beneath broke free, traveled underground, and exploded onto the residential streets of Leilani estates. It was “the nicest place in Puna, the place where the richer people live” to us locals when I was growing up. It was still “the nicer spot in Puna”. And then it became a geological war zone. I didn’t think it would happen in my lifetime — because, nah, that kind of stuff only happened in the 60’s, 70’s, 80’s… not today. It felt as if the island was under siege; as if our home was deep in pain, gasping for air, and struggling, all the while we were doing the same. But at the same time, through the pain we all felt as residents here, I think most of us respected this process. I can’t even imagine what the residents of Leilani and Kapoho must have felt, but from the social media postings I saw, it seemed as if we all admired it deeply and watched it in strange awe. This incredible growth. History in the making. It was a time of beauty and sadness. And then, it stopped. The National Park reopened with bittersweet fanfare. Christmas came and went and the trees are beginning to fill the waste dumps. Life has been normal, at least for myself and most of the people I know. But a lingering lesson still burrows into my head, born from the eruption of 2018. That my wife and I might own our house, but we’ll never own the land under it — not really. We’re okay with that, because this is our home. This is our heart. This is life on our amazing, beautiful, little Big Island of ours. And on that note, I wanted to share a few photos of Rachel & Philipp’s amazing two day adventure in the park, before the eruption, back when Halema’uma’u was still pumping out it’s glowing plume. Rachel & Philipp are such gracious people and I was thankful that they chose me to be their engagement and elopement photographer… but now the gratitude blooms brighter simply because I was able to capture one of my favorite places in the world, now changed forever. Speaking of, we actually just ordered our daughter a 3T sized astronaut suit for Christmas, since she really loves everything space and likes to pretend she’s flying to Jupiter. It has been an amazing joy sharing my own love for space with her, and teaching her about black holes, exoplanets, and nebulas. My secret hope is that she becomes a genius level engineer and is selected to go to Mars, and somehow pulls the strings that score her Mom, Dad, and future brother tickets onto her spaceship. Who knows if it’ll happen but the mere possibility makes my head spin! Anyway, I just wanted pop in here and share a bit of what’s going on, and some photos of an amazing, energetic family I had a pleasure of working with. A massive thank you to the Diptiman family for letting me document their genuine, unobstructed love for each other! Summer may be coming to a slow and steady end, but it has been just as warm and sunny here in Hawaii, and it has been pretty busy for me, too… as summers tend to be. This family session with the Wilcox family was both the largest I’ve ever done, as well as the hottest! I faced an instantaneous torrent of sweat the second I walked across the resort lobby. A palpable layer of humidity floated over the entire Mauna Kea resort area, and the sun beamed across the sky with such determination that it even seemed to keep the mighty Hawaiian tradewinds at bay. 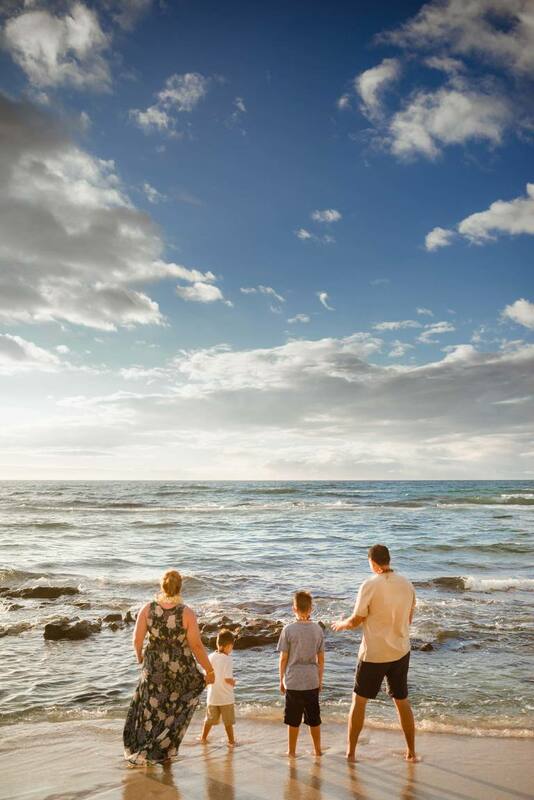 Humidity + sun + zero wind would usually make for unhappy people, but the entire Wilcox ohana — all 25 of them — were in good, loving spirits, and despite the environmental challenges, I had a great time creating photos that would remind them of their family vacation here on the Big Island.